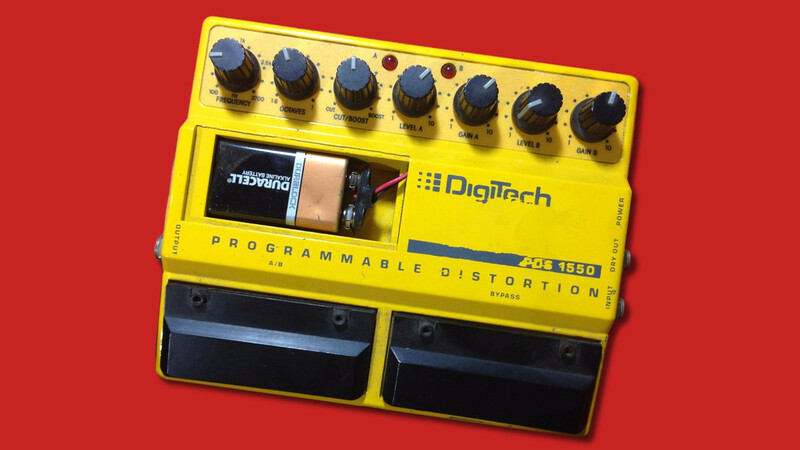 Buy a DigiDelay PCB, complete with the DIGIDELAY delay processor chip and two 128KB SRAMs, and save money compared to the separate price. 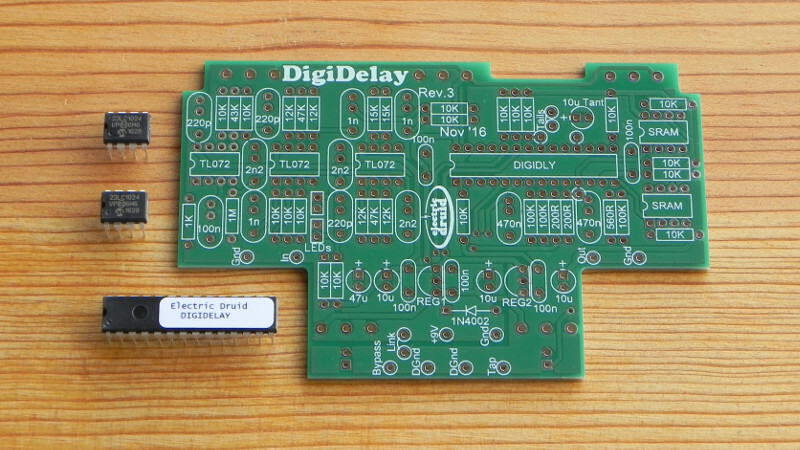 DigiDelay PCB, complete with DIGIDELAY delay processor and two 128KByte SRAMs! 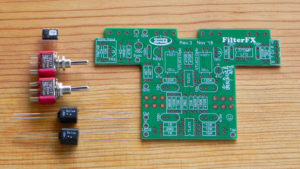 The PCB is FR4 fibreglass for strength, with plated through-holes and green soldermask and white screen print on both sides. 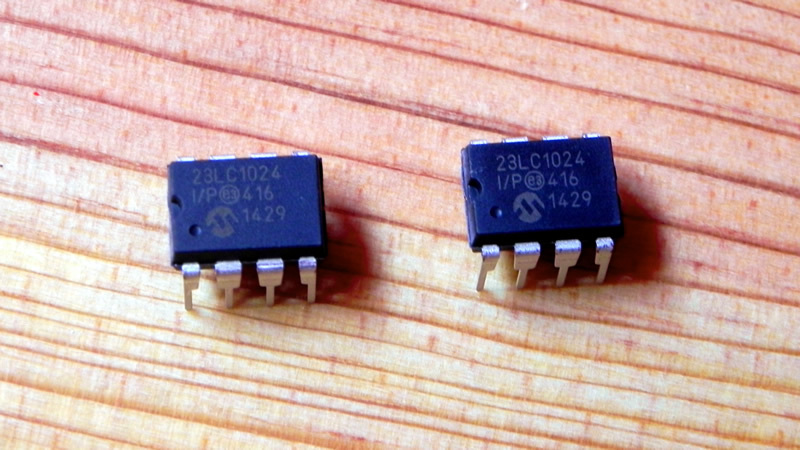 The PCB layout can accept film capacitors with either 5mm/0.2″ or 7.5mm/0.3″ lead spacing, so you’re not limited in your choice of capacitors. 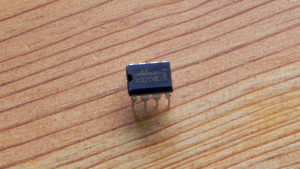 The DigiDelay circuit is designed to require no trimmers or calibration for a simple build. 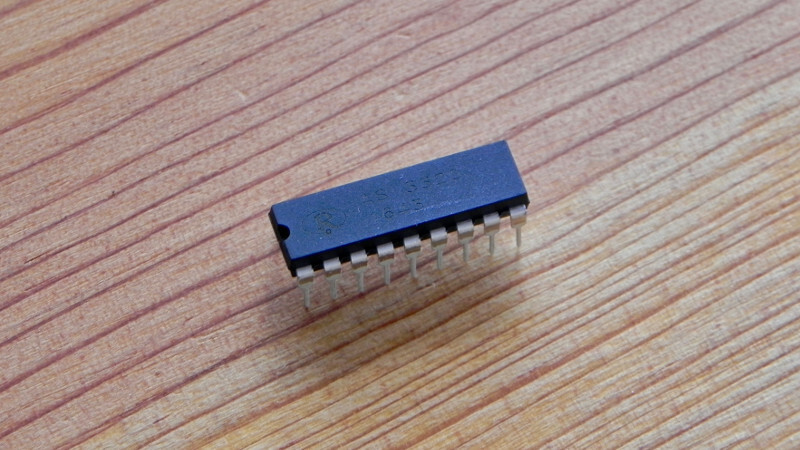 You can download datasheets for the DIGIDELAY chip and the Microchip 23LC1024-I/P 128KB/1MBit SRAMs. 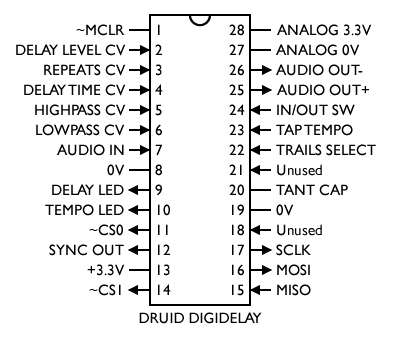 There’s also lots more information on the the DigiDelay project page. 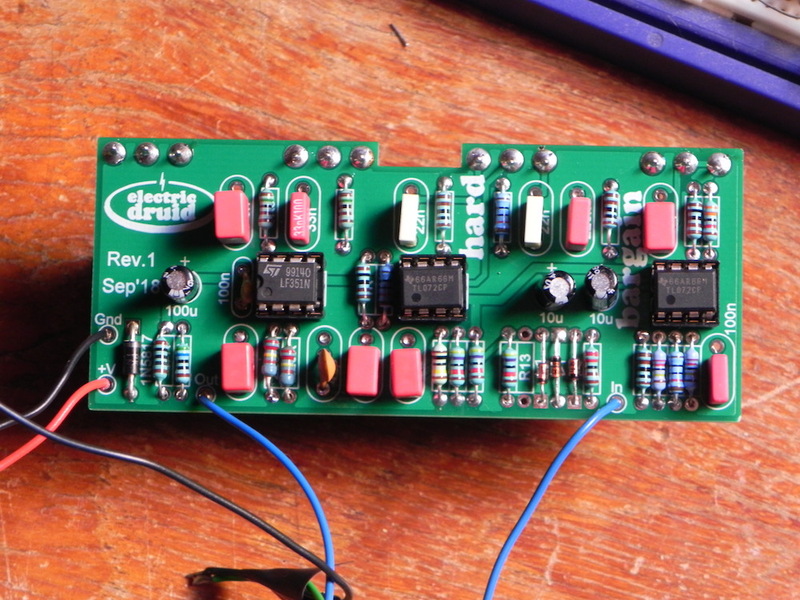 Well Tom hits the spot with this DigiDelay project. A well thought out PCB with all components logically placed and the potentiometers are PCB mounted this makes for a neat and compact build. No hard to find components. The build instructions are superb and circuit drawings are excellent viewed on a monitor or printed out. Just build in stages as per the instructions and you should end up with a working module. With ample delay adjustments, this should cater for a wide audience. 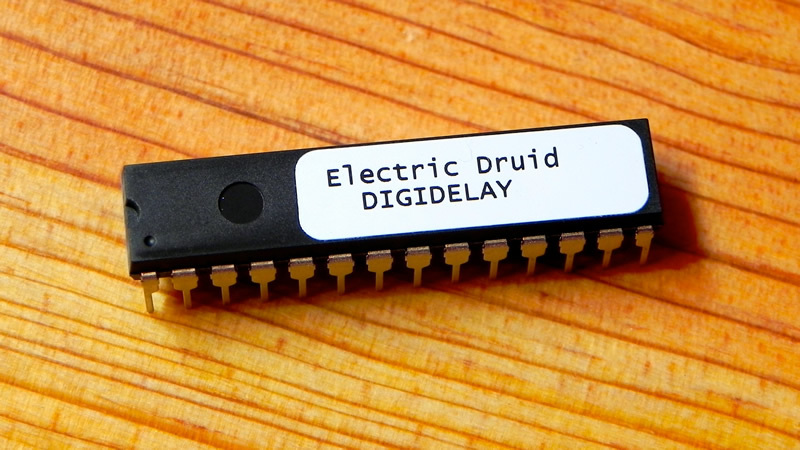 Overall extremely pleased I came across Electric Druid and this project when I did. Well done Tom. Speaking of parts, they were easy enough to find. I got most of them from Tayda Electronics, including the lime green box. 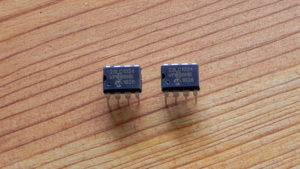 I used a Tantalum capacitor from Tayda. It may not have matched the “ESR” spec, but it seems to be working well. The tests I’ve done are with a line level signal (a synth). If you turn up the volume you can hear some noise, but at that level, the synth is very loud (too loud), so I’m giving the signal to noise (S/N) ratio a passing grade for a line level signal. It’s SO much better than the PT2394 I have. The “time” knob provides REALLY long echos. For all of you “old schoolers” we’re talking tape loop long (4 seconds). The “repeat” knob does what is say, providing from 1 to virtually infinite repeats. The “level” knob only controls the echo level (the bypass switch mutes the echo altogether). The original signal passes w/virtually no coloration. The distortion is even more insignificant to my ear than the minor noise in the device. If you want an exact un-colored echo, you can get it. This is where the fun starts. If you want a “darker” echo, adjust the lowpass filter (which adjusts only the echo signal). Similarly, if you want to “un-muddy” the sound of heavy echos, adjust the highpass filter to thin it out. 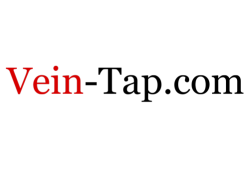 Perhaps my favorite feature is the tap tempo. This is SO functional and musical. I love it. That wraps up the technical details. I built this stomp box for my son’s birthday. He’s a semi-pro guitarist. I’m probably going to have to repeat the process (no pun intended) so I can have one for my keyboard rig.